The first time I put my feelings and thoughts on paper I was fourteen years old and a guest had come to our house from the village. There were no schools in the village then. People were uneducated and many village people associate having a son in the family with honor and power, while daughters are considered a weakness and sometimes a shame in society. My parents have four daughters, me and my three sisters, and our parents never feel shame; they are proud of us. I was hurt when I heard this and so was my mother. I saw from the expression on her face that it depressed her. I left and went to my room. I was confused and I wanted to unleash my feelings. I was worried about how my mother was feeling. I was thinking about crying when a pen and piece of paper caught my attention. I started writing to calm myself and express my feelings. This may have been the best decision I ever made in my life. I wrote about how both genders have an equal right to respect, value, and honor. I wrote that having a daughter should not be shameful because men and women both have special abilities and we should respect both as equal on this earth. I wrote and wrote, and I was surprised to see that I had filled three pages. I felt better. By then the guests had left and my family members had gathered together. My mother was still sad and I worried about her. I thought about what I had written and without hesitation I went to my room, got the pages, and sat next to my mother and read them aloud to her. She listened carefully. When I finished, she hugged me and kissed my forehead. She said she felt blessed and calmed and proud. She encouraged me to keep writing so that I would be an even better writer one day. I was so happy for my mother in that moment. Once again, she was smiling. Now I am twenty years old, and I believe writing can be a proud experience that can make you strong even if you are only writing a friendly letter or an essay for school. It is a powerful feeling to write something of your own and send your feelings, thoughts, and ideas out into the world. You have shown clearly how much power there is in the written word — how getting our feelings out onto paper can make us happier and calmer, and can help those around us too. No wonder your parents are so proud of you! Thank you for sharing your wonderful story of how you became a writer. I hope you’ll never stop sharing your strong words with the world. It is amazing what a pen and paper can do, if a person is lucky enough to be near pen and paper – and be inspired to start writing as you were. It makes me happy that you were able to help your mother, and that you are still writing. Great and wish you all the best. I’m glad to read a very emotional piece of writing by you. I still kept all the letters that you wrote for me at school. When I compared them to this article; absolutely your writing has been improved. Congratulations jan. I really appreciate your thought and wish you have a great future with writing. our thoughts and our writing is our future, and our voice. keep it up!!! This story makes me so happy. I started writing when I was younger to express my feelings and it made me feel better and inspired me to continue with it in my life. I’m so happy that your mother supports you and your writing. She is very lucky not only to have daughters but also have a talented and caring daughter like you. I hope you continue to write. It makes me happy that you found the freedom that writing can give you! I started writing at a young age as well, because I did not know how else to process the things that I was going through. Words are powerful and writing is an amazing gift. I hope that you continue! The story generalizes the stereotype of how women who have daughters instead of sons, are unlucky. In the society that Kochay lives in, women including small girls face a copious amount of oppression compared to males. In this story, however; Kochay shows a sign of hope and strength by saying their family did not categorize themselves under this stereotype. Instead, her parents were proud and blessed to have four daughters. What really caught my eye in this story is when a lady living in the same village called Kochay’s mom an unlucky woman because she had four daughters and no sons. We see that she did not regret saying this or even feel bad. This shows how it was a regular thing in that society to shame women and their lives. It is very brave of you to let others know about your story and show to them that you resolved your tensions by writing down your thoughts on a piece of paper. The amount of determination you had to argue that both genders are equal and should not be treated differently, is truly couraging. Towards the end of this story, I liked how you included your mother’s thoughts on you doing this because it symbolizes how your family did not fit in with the “boys over girls” stereotype. I hope you continue to keep writing and let others know how you feel. A impressive piece of writing. 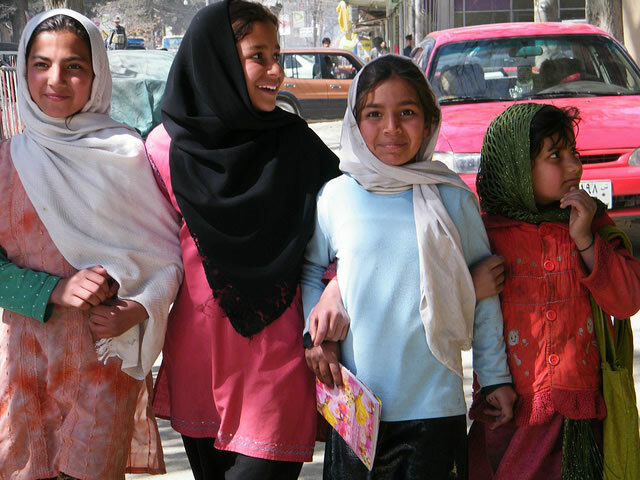 From your words, I found a tragic fact appeared in Afghanistan:Ironically, female would support the tradition that defined them as inferiors—a kind of brainwash? However, distinct from others who obeyed their “destiny”,you and your family turned to resist it. When others claimed that you and your sisters are misfortunes, your mother objected them and declared she’s proud of you. I agree with you, in most occasions writing would be a effective way to release (negative) emotion and express ideas. It’s fortunate that even in a environment with stereotypes, your family still haven’t surrender and they shaped you in a the way a fair-minded person should be. Though your words might won’t be wide spread, but your efforts and your awakeness wouldn’t pass into silence. This story shows how society acts in many ways. The fact that a woman you barely knew felt the need to call your mother “unlucky” shows how women were, and still are, portrayed as inferior compared to men. People may have strong opinions but never let them get to you, you are not less than a man and you never will be; Women can do things just as well, if not better, as men can. Your parents felt proud of their four daughters because they understood that just because you four are not men, you are still fully capable and perfect to them. You show strength and courage in your writing and your passionate argument of gender equality is inspiring. I hope you keep writing in the future, as it is a great outlet of emotions and your words can change perspectives and lives. The story you are trying to us is so simple but enough to show the problem the society have. I’ve heard about the stereotype of woman before, but it never come to my life before. Rather than live under it for 15 years like what you have experienced, I am so lucky to live having the equal right with men. Your story brings me face the actual problem we still have in our society. I like how you say you parents are proud you, it seems so weird to that villagers, and maybe even a lot more people, but it’s normal in my life. I’m lucky to know what circumstance women are in in another side of world. Your parents are perfect, and you are the proud of them, there is no doubt. I hope you will keep writing, I’m willing to know more about your life. It’s not only an outlet of emotions for you, but also a chance to study for me. Boys never go beyond over girls; we are all strong!